-Spotify Accepts Podcast Submissions, should you expect to get in though? - Only you: You’re the host, the one host, and the only host. - You + one other standing host: You co-host with same partner for every episode. - You + guest: You interview with a new guest on each episode. - This format brings new perspectives, opinions, stories, voices, and talent to every episode. Your guests will share their episodes with their audiences, too, serving as advocates that will help you grow your listener base. Spotify Accepts Podcast Submissions, should you expect to get in though? Man I need to go back to the drawing board. Never planned on making money with it. Just a creative zone for me at the moment. I got two donations, one for $100 and one for $25. OTCR is going to go the getting regular advertisers method through people we know who are willing to advertise with us. I never listen nor am involved with BTR since May 2015. What Alex said in addition to the sound quality being poor on BTR. Always make sure if you have a guest, get to know what the guest is presenting. Sending media kits for them to fill out well in advance of having them on so you have time to research and can give your own perspectives on their points of view. There are those also where segments are pre-recorded and then produced in advance. Congratulations on the Hall Of Fame! I actually had two shows for July 2nd World UFO Day in different Spreaker channels. 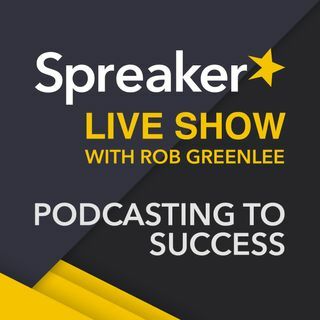 I wish the Spreaker Desktop software would record multiple tracks. Say there are three people on Hangouts or two people on Skype, record a track from each source. That addition would make it an amazing studio (in my opinion). When getting on itunes did you suggest to do as many shows as possible? Will this allow a higher rank? Great show, what about iheart? Should I wait until I get 100 followers?